During the colonial era, the economic system in the American colonies was tied into the English system of pounds, shillings and pence. A less cumbersome method of coinage, the decimal system, had long been championed by Thomas Jefferson, Alexander Hamilton, and financier Robert Morris. After several unsuccessful attempts to pass authorizing legislation, their plans finally came to fruition with the Mint Act of April 2, 1792. Both the establishment of a mint and the decimal system were not only seen as practical for the new nation but symbolic of a break from England as well. The first half dimes to be struck in the United States were the famous half dismes of 1792. These coins were produced before an actual mint building had been erected, but they were made by official Mint personnel. A total of 1500 were issued from dies which are thought to have been designed and engraved by British medalist William Russell Birch. The striking process was overseen by Adam Eckfeldt, a Mint officer, and John Harper, a machinist who lived nearby the proposed site of the new mint. The coins were made in the cellar of Harper’s building at Sixth and Cherry Streets, andlegend has it that at least some were coined from silverware provided by Martha Washington. The production of these coins was an act of incredible political significance. 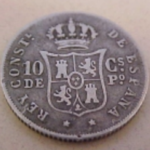 In the past, coinage of silver was a royal prerogative. 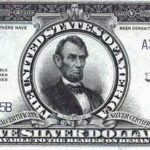 In a new, purely Democratic society such as the United States, the coinage of silver was a clear and distinct act of national independence. 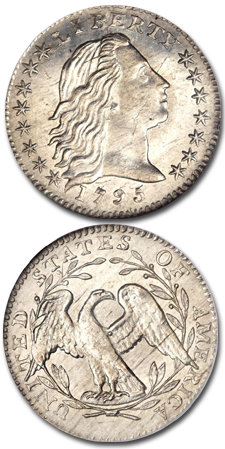 The Flowing Hair half dimes of 1794 were designed by Robert Scot, the Chief Engraver of the Mint. His design was different than that found on Birch’s 1792 half dismes (the spelling of “disme” would gradually evolve to “dime.” On the 1792 coins, the denomination is spelled HALF DISME). Scot’s design features a head of Liberty facing to the right with distinctive flowing hair. Fifteen stars, arranged 8×7, surround the head with the date below and the word LIBERTY above. 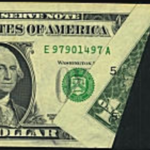 On the reverse, an eagle stands amid an olive branch with the legend UNITED STATES OF AMERICA around it. There is no indication of this coin’s value on either side, nor would there be until the Capped Bust design was adopted in 1829. All of the 7,756 Flowing Hair half dimes dated 1794 were actually struck in March, 1795. The 1794 half dime is a scarce coin in any grade. 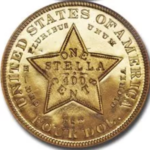 In mint state, it is very rare, although a group of a dozen or so extremely choice uncirculated pieces exist from a hoard found and dispersed around 1880. As one would expect, the quality of strike for 1794 Flowing Hair half dimes is generally poor. In fact, the United States Mint had considerable trouble striking coins of this denomination until the 1830s. It is very hard to locate a 1794 half dime which is sharply detailed on the hair of Liberty. In addition, the eagle’s breast feathers are very often flat and indistinct. On high grade pieces, wear will first show on the hair to the left of the ear, the forehead and on the eagle’s head, breast and the tops of its wings. Many of these early half dimes show adjustment marks on their surfaces. 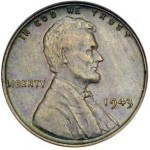 These are file marks made on the planchet before a coin is struck in order to reduce the weight to the Mint’s standard. Adjustment marks are very common on 18th and early 19th century American coins, and they are not considered a detriment to the grade or the value of a coin. A total of 78,660 1795 half dimes were produced. This issue is much more readily available than its 1794-dated counterpart. While most often seen in lower grades, the 1795 half dime can be obtained without a great deal of difficulty in mint state. A hoard of 100 or so uncirculated pieces was discovered around 1880 by Massachusetts coin dealer William Elliot Woodward; this hoard also contained the uncirculated 1794s mentioned above. The quality of strike for 1795 half dimes is a bit better than for 1794s but not by much. The centers are very often flatly impressed, and this tends to give the erroneous impression of wear. A number of coins show pronounced die cracks which further weaken the overall quality of strike. As with the 1794s, a number of 1795 half dimes show adjustment marks on their surfaces. Four different die varieties are known for the 1794 half dimes. Only one of these is relatively common. Ten different die varieties exist for the 1795 half dime. Over 80% of all 1795 half dimes are from three of these varieties, and the rest are very rare. While a number of these very interesting die varieties exist for the Flowing hair half dime series, these coins are nearly always collected as a type. The major reason for this has to do with the difficulty of assembling extensive, higher grade die variety sets. The design for half dimes was changed in 1796. Robert Scot was instructed to create a new, uniform design for the current silver denominations. The half dime, dime, quarter dollar and half dollar of 1796 all have a Draped Bust obverse which is coupled with the Small Eagle reverse. Mint officials considered the standardization of coinage designin all metalsto be very important and continually strove for a high degree of uniformity. The Flowing Hair half dime is a very important coin in that it is one of the first official silver issues produced at the Philadelphia Mint by the United States. These coins are not terribly expensive in the higher circulated grades and they represent very fertile ground for the collector who is interested in the early history of this country.